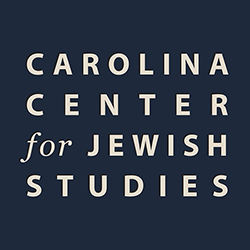 Please note that events on Sunday and Tuesday are at the NC Museum of Art in Raleigh and events on Monday are at UNC at Chapel Hill. Jewish things are ubiquitous. They can be found in homes and synagogues, museums and souvenir shops, warehouses and auction houses, studios and factories, flea markets and yard sales. They may be “Jewish” by birth or by conversion. They may be possessed or dispossessed. They may survive catastrophe or only in memory. This talk will explore the life of Jewish things in the world and in the museum, as material or digital objects, sites of loving memory or anxiety, as art or artifact, and, above all, as a prism that refracts Jewish experience. Diego Rotman,the Regina Rosen Visiting Artist in Residence in Cultural Studies and Jewish Studies and Visiting Professor, Queen’s University: Bringing Back What Has Never Been There: A New Jewish Open Air Museum in Bavaria?